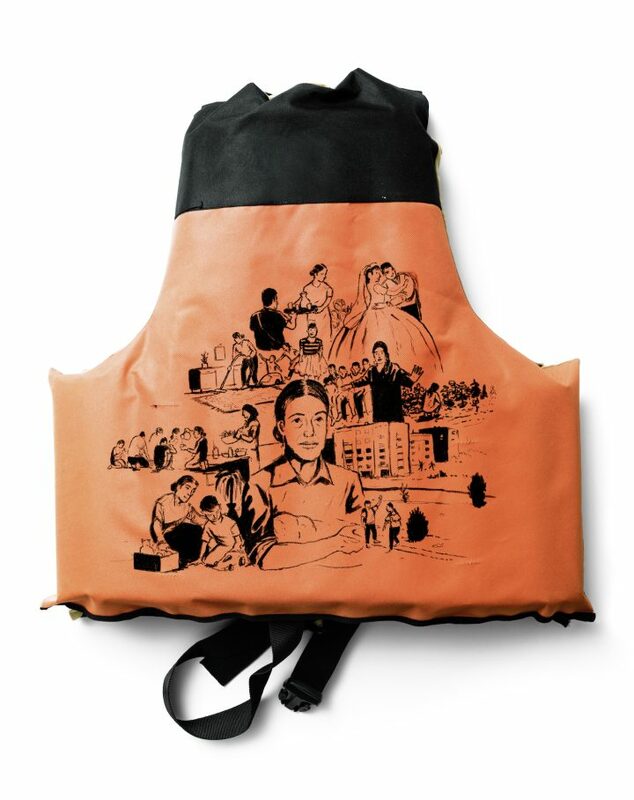 For Project Life Jacket, an artist illustrated Syrian refugees’ memories of their lives before the war on flotation devices. 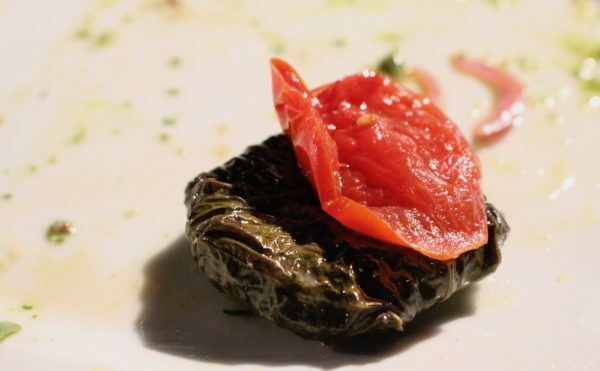 The refugee camp in Thessaloniki, Greece — a former textile factory repurposed earlier this year — shelters a constantly shifting community of people who have fled their homes. Recently, a group of NGOs led by the Voice of Thousands visited the camp, where volunteers met nine Syrian refugees and interviewed them about their lives before the war. 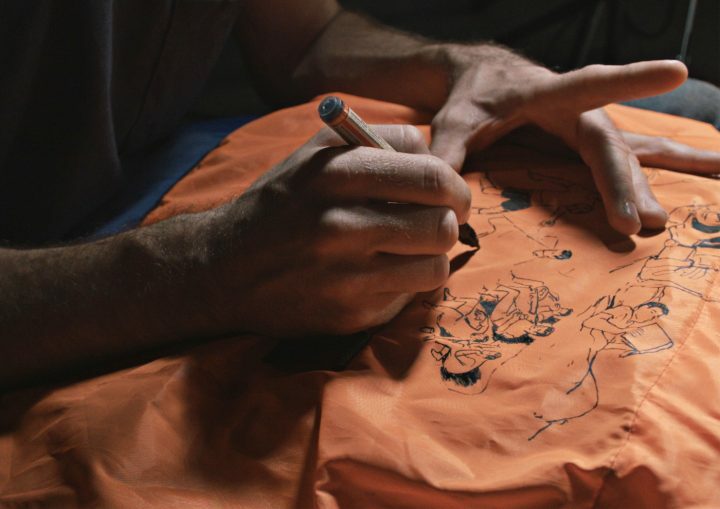 Their stories were recorded on video, but also illustrated in ink drawings that unfold on the backs of nine life jackets. 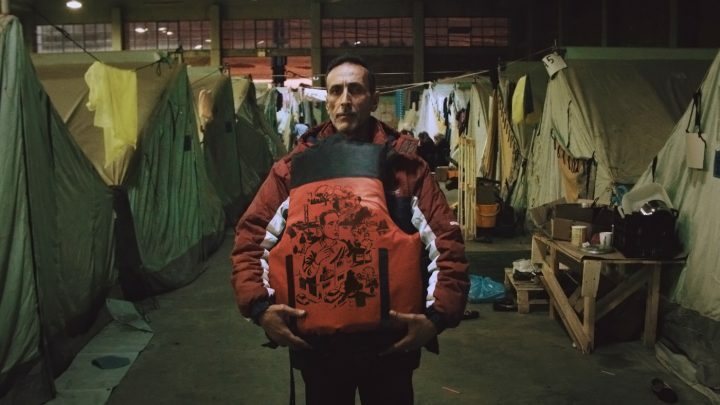 Life jackets have become a symbol lately: the bright vests have appeared in numerous installations — some conceived by artists — protesting the handling and ignoring of the refugee crisis by politicians, the media, and those of us who remain unaffected. 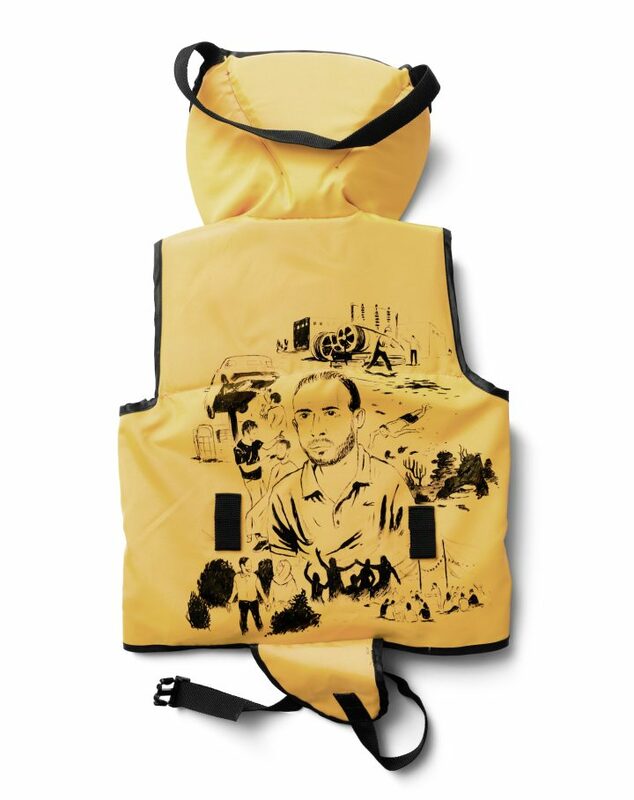 The NGOs’ undertaking, Project Life Jacket, is the newest one to recognize the evocative power of the flotation devices, but instead of sending a message through the use of a massive quantity, it centers on the individual stories attached to each. 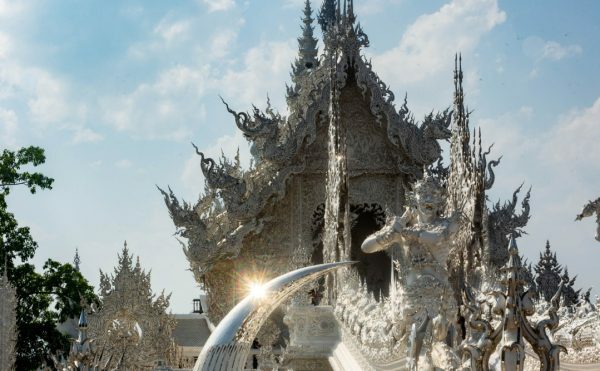 Swiss artist Matthias Leutwyler drew the memories, and the results are all online, accompanied by a recording and video of each interview session. You can listen to Ghalia, who’s originally from Aleppo and whose orange vest shows her dancing with her husband on their wedding day and pouring tea for her children (she has nine, now all grown). 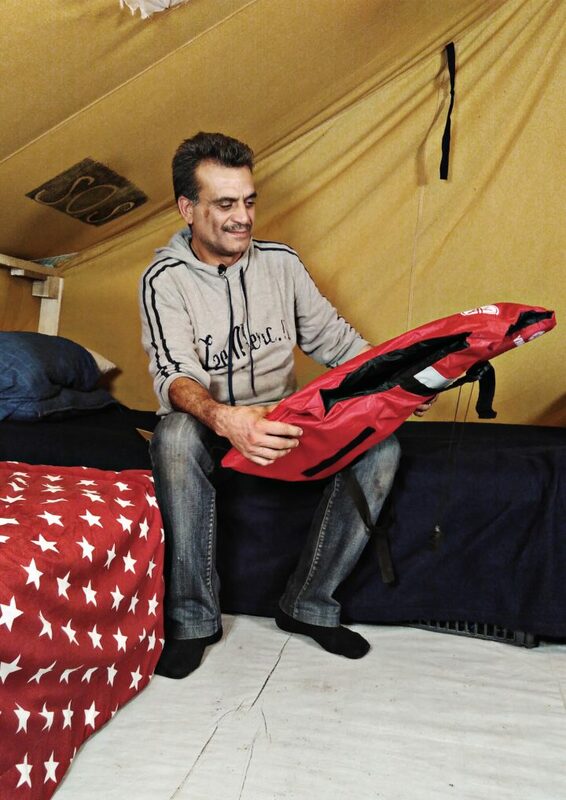 Or hear from Abdel, the 21-year-old from Homs, where he was the captain of his soccer team; his jacket shows him kicking a ball on the field, but also playing chess, taking photographs, and reading a book — simply enjoying hobbies that any young adult should be able to. 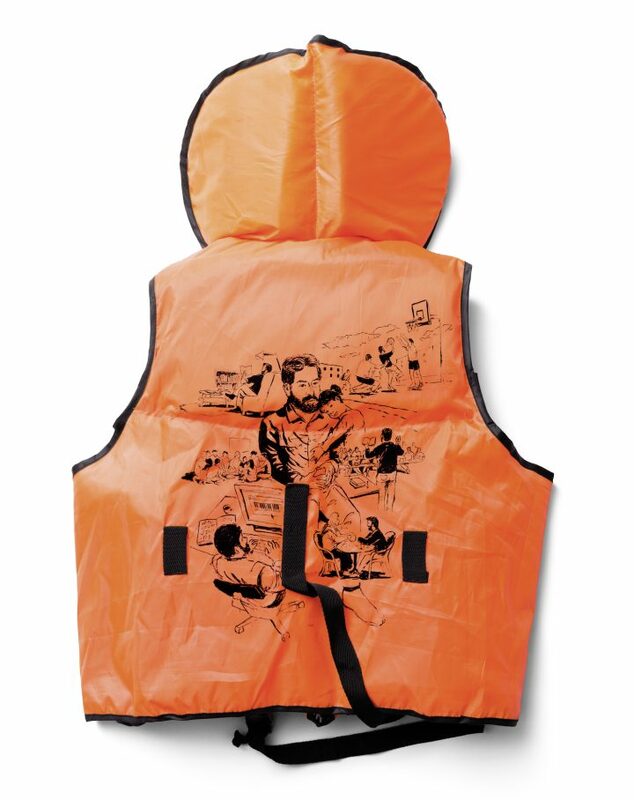 The vests were previously displayed in Zurich; Project Life Jacket is now planning to organize a touring exhibition. 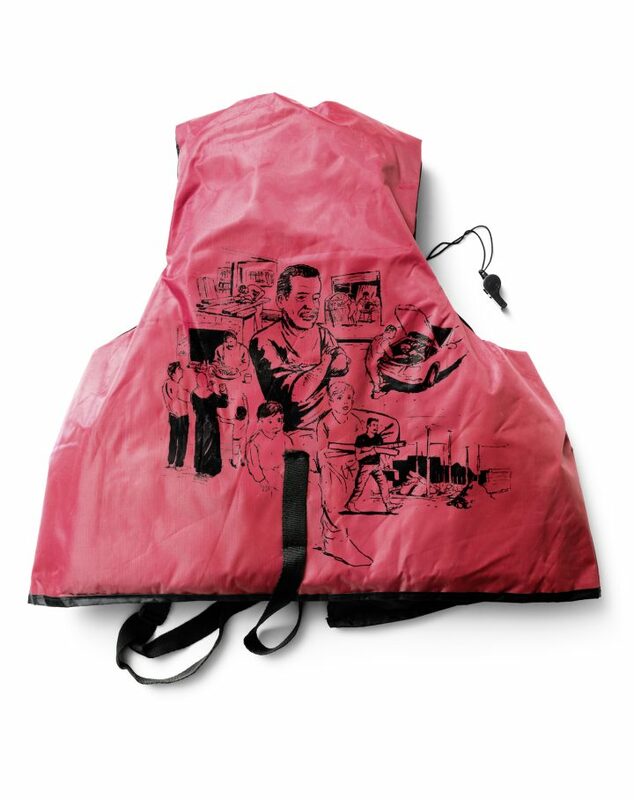 Although the scenes drawn onto the life jackets are “normal,” they are far from unremarkable. 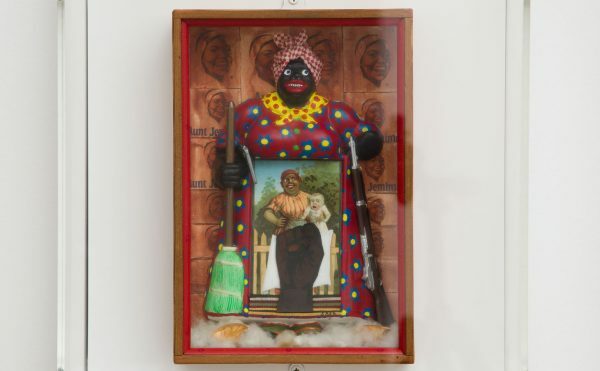 In a way, they serve as metaphorical flotation devices, keeping alive memories for their owners to hold onto while confronting an uncertain future. 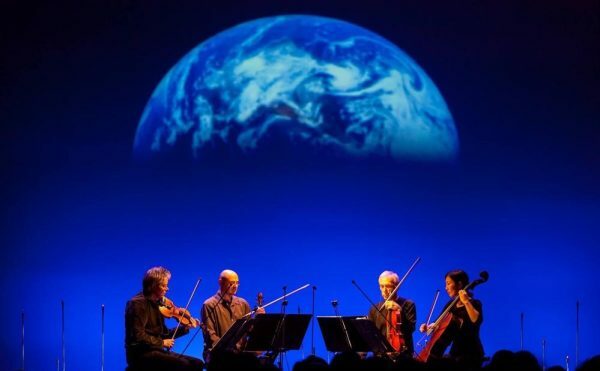 And for the rest of us, they’re a reminder of the joys we experience and the opportunities we have every day, many of which we likely take for granted.